VIV Asia is part of VIV worldwide network. VIV worldwide is the business network linking professionals from Feed to Food. 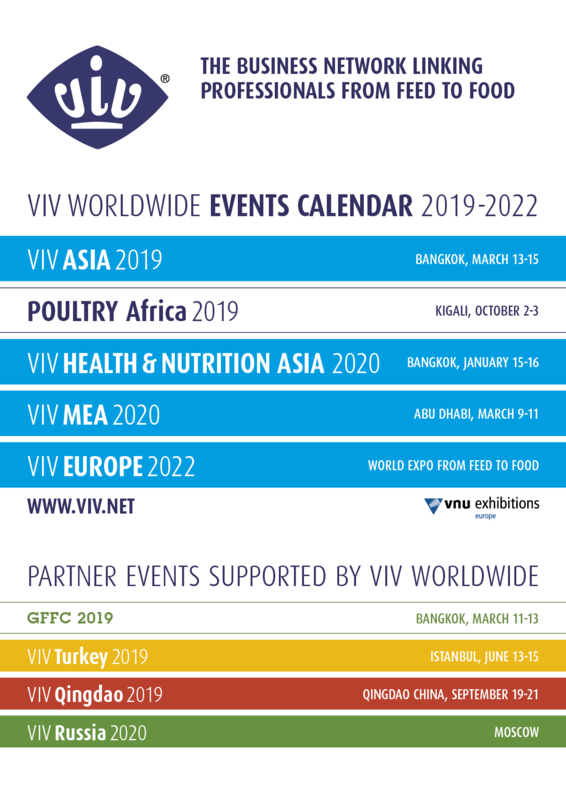 The combination of VIV trade shows, VIV online 24/7 and VIV trade summits shapes a unique platform that offers boundless opportunities to the animal protein supply chain players. Started in the Netherlands, VIV developed with dedication a worldwide network through 40 years of experience and interactions with the industry, becoming the leading platform today in and for some of the most promising markets of the world. VIV is multispecies: the network and its events include poultry broilers and layers, pig, cattle & calves and aquaculture.